Today, Bharati Vidyapeeth Deemed University has 29 Constituent units and perhaps it may be the largest multi disciplinary multi campus university of its kind in the country. Bharati Vidyapeeth Deemed University has introduced a large number of innovative degree and diploma programmes after considering the demand for the same from students. 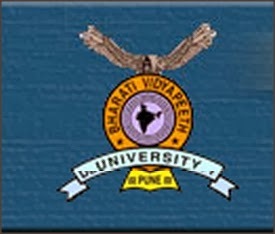 Bharati Vidyapeeth Deemed University invariably updates its course structures and syllabi periodically.